From dry aging our bacon to blending our spices in-house, we never cut corners. Discover the difference Jones foodservice products will make on your menu. When it comes to preparing your menu, you can feel confident that you’re serving products with no added binders, preservatives, or MSG. Plus, Jones foodservice products are always Certified Gluten-Free. To meet tough school nutrition standards, turn to our line of C/N products. Packed with protein, our breakfast sausage products are low in fat and sodium and several varieties are even Certified Gluten-Free. At Jones Dairy Farm, we’re committed to creating foodservice products that can’t be beat. Jones Dairy Farm is hosting a fun and easy year-long contest. Customers can earn points based on participation in promotional activities and purchases. Those with the most points will have the most chances to win. We understand the unique priorities of foodservice professionals. Put unmatched flavor on your menu. With Jones Dairy Farm products, you get incredible flavor, balanced nutrition and great performance. To prove that our wholesale products are the only choice for your menu, we’d like to send you a free sample. Win a trip to the ACF Culinary Team USA 2020 Competition! Jones Dairy Farm is hosting a fun and easy year-long contest. Customers can earn points based on participation in promotional activities and purchases. Those with the most points will have the most chances to win. Why not join in on the fun while satisfying your customers with high quality, delicious tasting All Natural Sausage as well as Naturally Smoked Hams and Dry Aged Bacon? 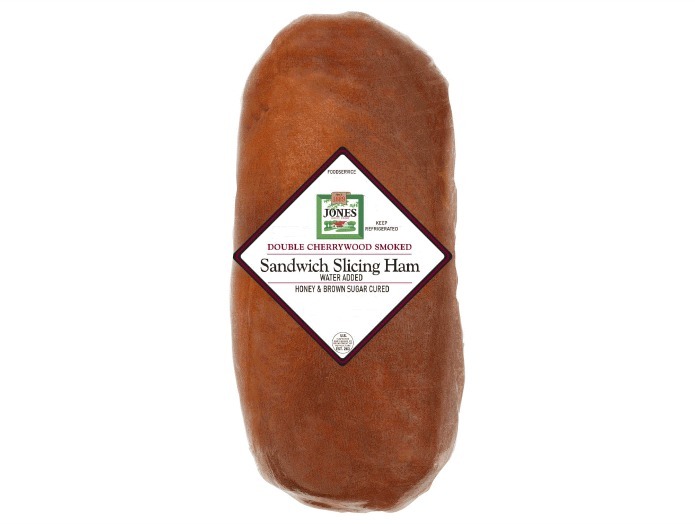 Get the perfect slice every time with our cherrywood smoked, lower-sodium slicing hams. It’s time to switch up your pizza menu! 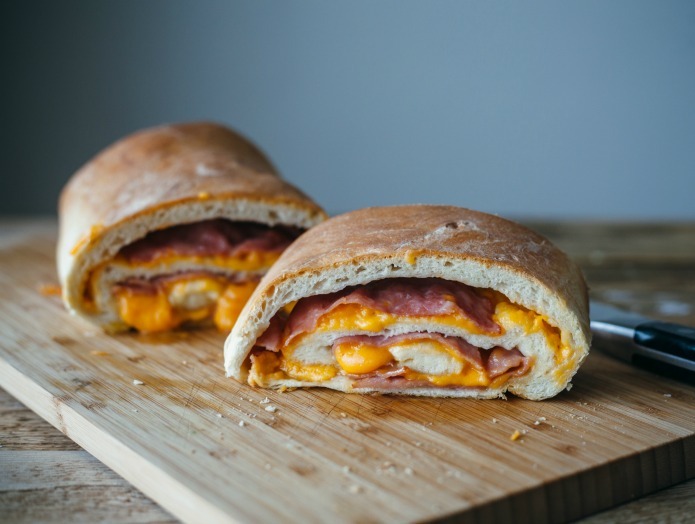 This calzone recipe is filled with hickory smoked ham and lots of oozing cheese.